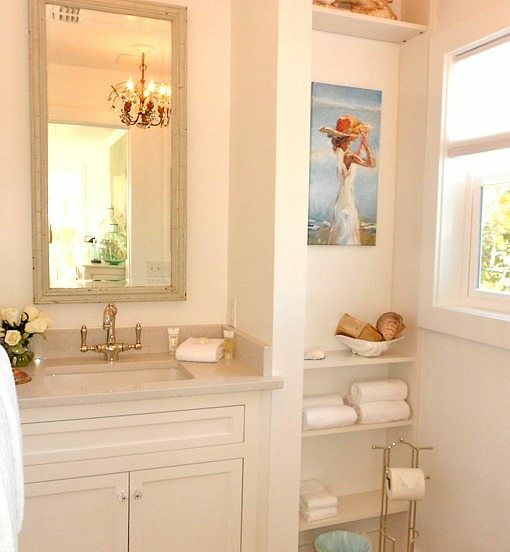 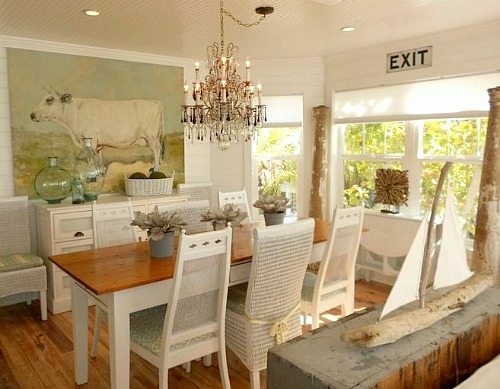 This vintage beach cottage has enjoyed a complete remodel. 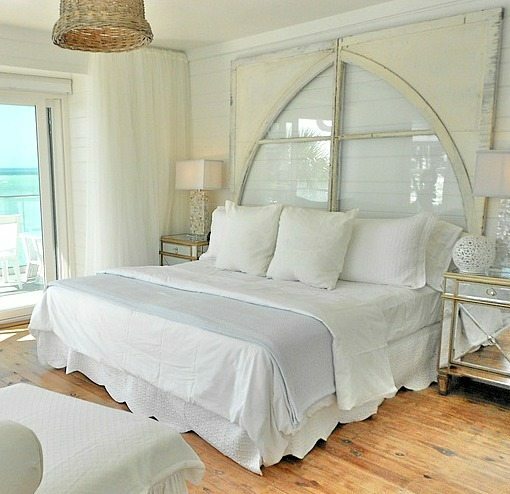 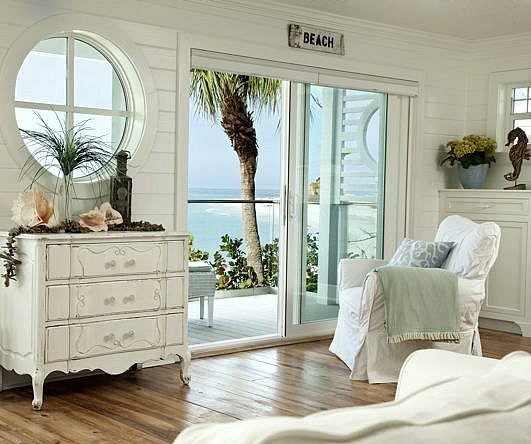 It’s been modernized on the outside, while maintaining all the vintage charm on the inside, with a pure white decor theme that emphasizes space, beach and ocean views. 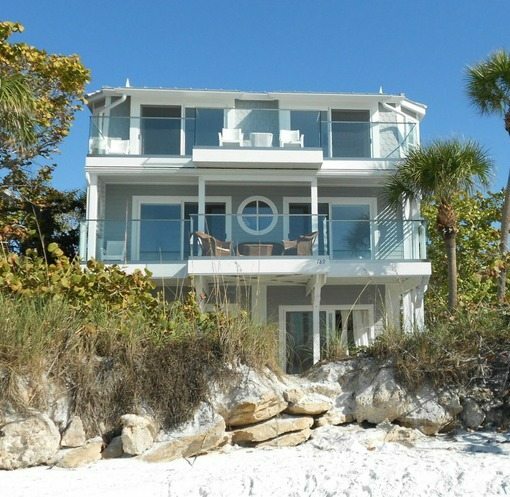 The house before the remodel. 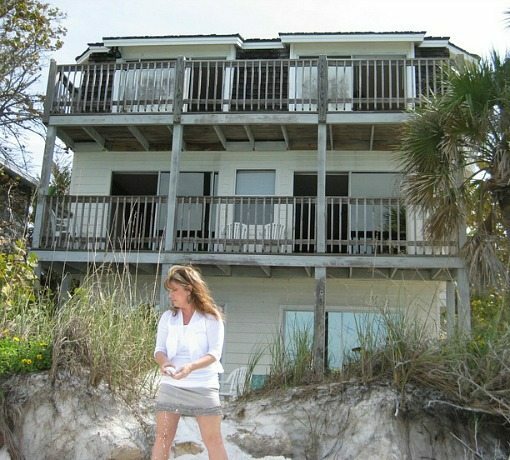 Leah and her husband sold the beach cottage in 2013 for $1.75 million, and the new owners have listed the property as a vacation rental on Homeaway. 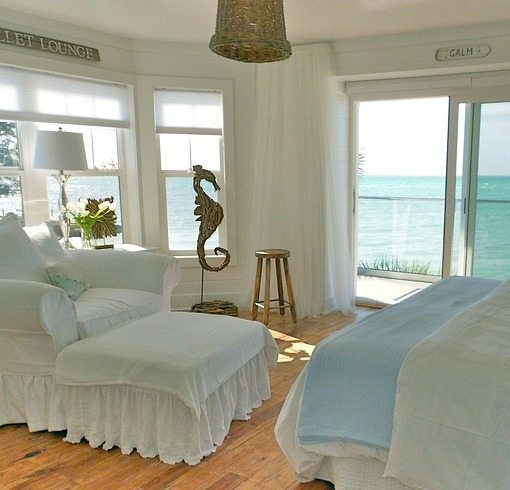 The furnishings are pretty much the same, but Leah’s art was removed, like the lovely painting in the bathroom of a Woman Looking out to Sea. 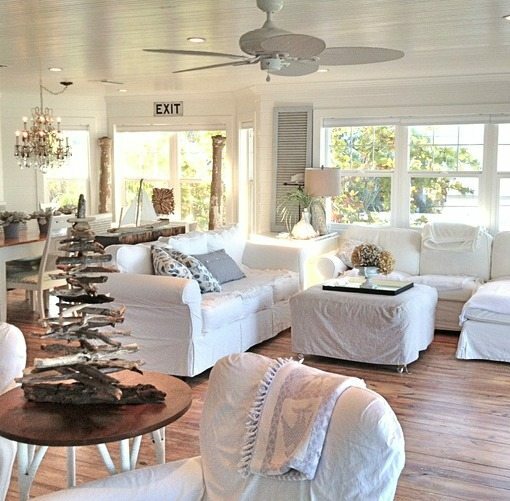 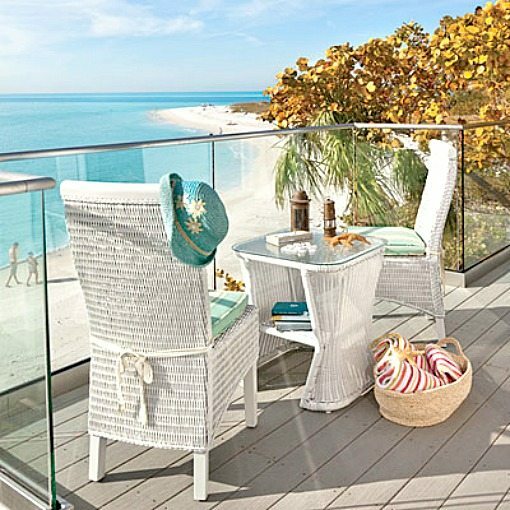 Pictures of the cottage are from Leah’s Pinterest board, except for picture number 1 (showing part of the living room) which is posted on Chez Fifi, and the balcony shot is from Coastal Living where you can learn more about the remodel.